Welcome to South Gippsland Tennis Coaching! Here at South Gippsland Tennis Coaching our aim is to provide exceptional tennis coaching services in and around the South Gippsland area. We cater for all ages and all skill levels, and we also provide any gear you might need. We also provide a range of programs from ages 4 and up. 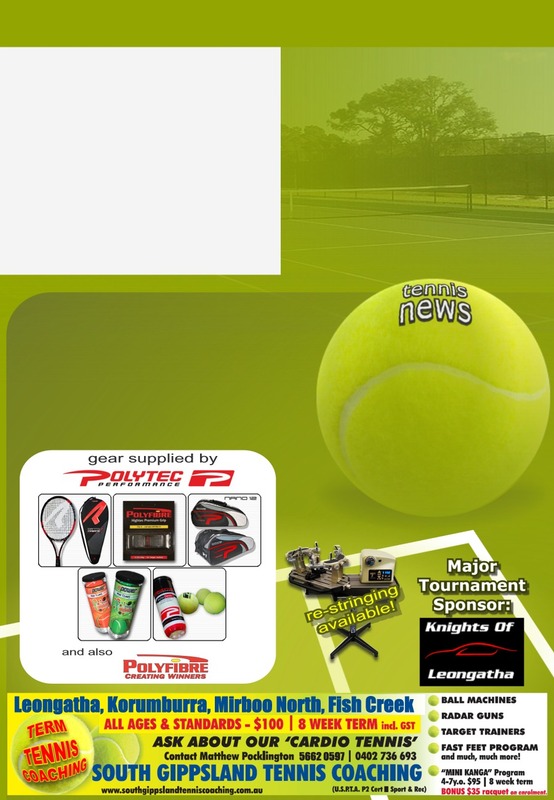 So if you're thinking of getting into tennis then why not drop us a line. Alternatively you can fill out our contact form and we'll get back to you. Jan '19 Tournament now open for entry! Entries open until 2nd Jan!